Recently in my Kitchen Kop newsletter I asked my awesome readers for help. I asked them to send in some fall recipes that I could post, since I haven’t had time to get many up recently. 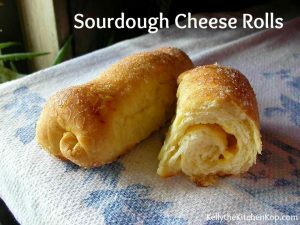 Lorraine was the first to send in this yummy recipe and pictures, too. (I’m trying to be sure to only post recipes with pictures, unlike my early blogging days.) Thanks Lorraine! Find safe, healthy seafood here. Melt butter or ghee in a large heavy pot and sauté onions and celery till tender. Add optional wine and bring to a simmer. Add stock, tomato paste, carrots, potatoes, garlic, and spices. Bring to a boil and then turn down heat to medium. Cook covered for about 15 to 20 minutes until vegetables are tender-crisp. Add the parmesan and seafood and cook until fish is just done, about 5 minutes. Note: I always encourage everyone to use as much local, grown without chemicals ingredients (organic), and meat, eggs and dairy from animals that were/are free-ranging and were/are raised without hormones and antibiotics. Seafood should be wild from unpolluted waters. We have a local Seafood store that is owned by “real” fishermen. They are always bringing in the freshest wild seafood. 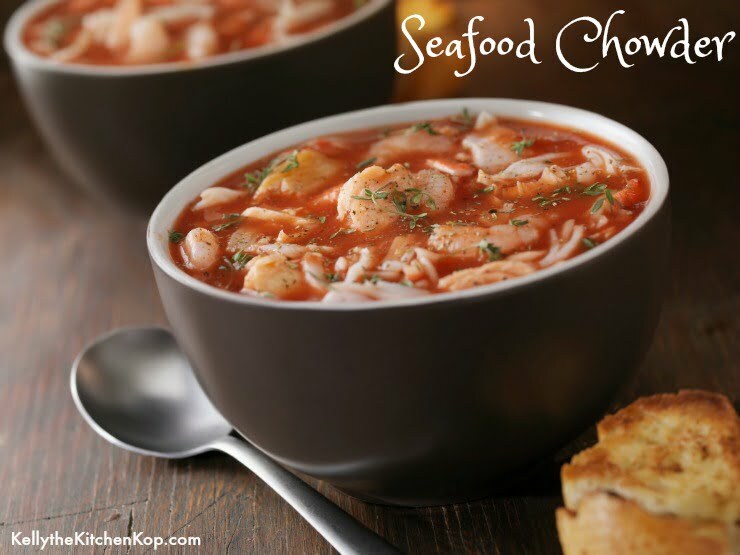 They offer a special box that is packed with a variety of seafood and when mine arrives, I make this chowder. I usually like to serve it with whole wheat sourdough cheese buns and a glass of Kombucha. My family loves this meal! Here are more seafood recipes. Lorraine is a Weston A. Price Chapter Leader from Nelson, BC Canada, and started eating nourishing foods about 10 years ago when trying to recover her health. She is married with two teenage children, who thankfully were open to the dietary changes. 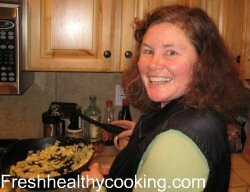 Lorraine also teaches nutrient-rich cooking classes and writes for her website, www.freshhealthycooking.com. 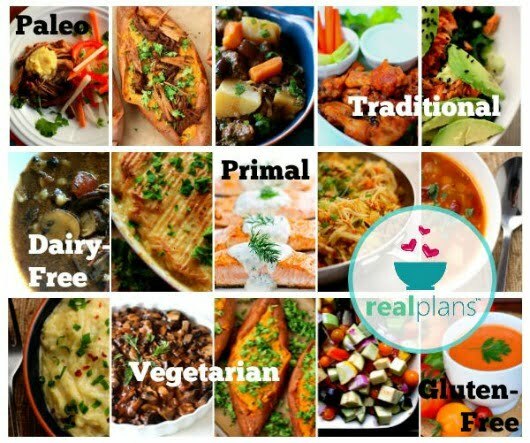 Sick of planning meals and answering the question, “What am I going to feed these people?” No matter what kind of eater you are… Check out these affordable interactive easy-to-use meal plans where the work is done for you! Also read over my review to see what I thought of it. Great recipe. I’m trying to eat more seafood. I grilled fresh whole sardines for the first time yesterday. They were delicious. I’ll have to try your chowder recipe.